The Director, Revenue & Reservations is a detail-orientated individual who displays strong, clear and consistent leadership with a focus on constant improvement of processes and department performance. This position is responsible for managing the daily operations of the Reservations Department to ensure the delivery of consistent outstanding guest service. 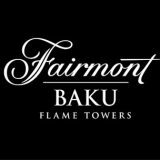 Fairmont Baku, part of the iconic Flame Towers complex, will boast 299 superbly appointed guest rooms, 19 serviced apartments, 7 exquisite dining options, over 2,500 square meters (27,000 square feet) of function space and two ballrooms. With all that it offers, Fairmont Baku the city’s place for distinguished happenings. Be part of our team at the exciting Fairmont Baku! Select, train and evaluate the performance of all Reservations Colleagues. Conduct all performance reviews on time. Create department and individual incentive programs. Ensure all reservation colleague concerns are addressed on a timely manner. Ensure daily tasks and checklists for all reservation colleagues are completed. Provide leadership, motivation, training and support to the Reservations Department. Conduct monthly department meetings and weekly briefings. Ensure all Reservation Agents are well trained and informed of all rates, promotions and corporate programs such as Reservations Plus and Fairmont President’s Club. Maintain a close and effective working relationship with all supporting departments. Conduct regular audits of GRC, GDS, Third Party Sites, Property Manager, IRIS and Sellweb to ensure accuracy in rates, packages, promotions and availability. Participate in weekly revenue management meetings and report preparation. Set a leadership example for the department in professionalism and striving to exceed guest expectations on a daily basis. Problem solving and coaching staff in situations to ensure that guest expectations are exceeded. Attend pre-convention meetings as required. Ensure the Reservations department consistently meets and exceeds the J.D. Power and Richey survey goals for pre-arrival. Responsible for all communication between GRC and the hotel; including the updating of Sellweb and GDS information. Minimum two years Reservations and/or Rooms supervisory experience required. Must display strong analytical, organizational and administrative skills to be able to deal with multiple priorities simultaneously. Must be flexible with the ability to sustain a high level of productivity and efficiency at all times. Proven leadership, organizational and guest service skills. Visa Requirements: Visa support will be provided by the Hotel. APPLY TODAY: Whether you’re launching your career or seeking meaningful employment, we invite you to visitwww.fairmontcareers.com to learn more about Fairmont Hotels & Resorts and the extraordinary opportunities that exist! At Fairmont Hotels & Resort we offer our guests the finest hospitality experience in each of our destinations. And we know that, to offer our guests the best, we first need to offer our employees the best. That’s why you’ll find exceptional work opportunities – throughout North America and the Caribbean, Europe and Africa, the Middle East and Asia Pacific – as well as industry – leading training, career development, recognition and rewards. Fairmont Hotels & Resorts is a celebrated collection of hotels that includes landmark locations like London’s The Savoy, New York’s The Plaza, and Shanghai’s Fairmont Peace Hotel. Our teams are guided by values of Respect, Integrity, Teamwork and Empowerment; we employ the highest ethical and quality standards, treating all colleagues with fairness and dignity. Our Sustainability Partnership program represents our ever-expanding commitment to being a responsible business and to following the principles of sustainability across our operations, the world over. An exciting future awaits!